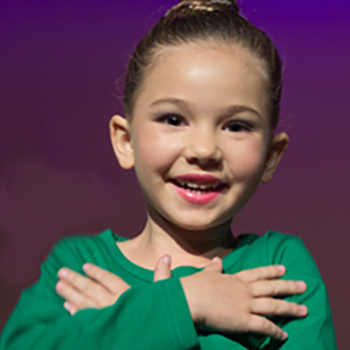 Our students–whether here recreationally or on a more focused path–call Stagelight Performing Arts home because we provide quality Acting, Dance, Musical Theatre, Vocal Music, and Early Education movement classes that fit a variety of needs. We hope you find that Stagelight Performing Arts can be your home too! Check out what we offer below, based on your own child’s needs, interests, and desired commitment level. Our littlest Stagelighters, ages 2.5 to 6, use their discoveries in dance, yoga, and theatre to become strong, kind, and courageous kids. Watch with pride as your child responds to music, moves with joy, interacts well with peers, and grows in confidence during these Early Education years. For ages 2.5-3, we offer Preschool Dance class, a perfect place to introduce your child to the performing arts and to the classroom environment. 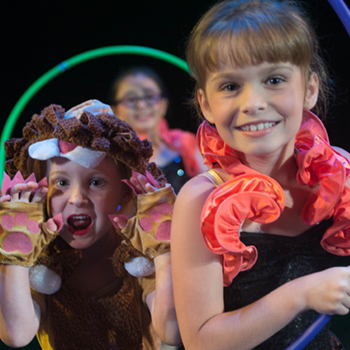 For ages 4-6, Mini Stagelighters participate in "combo" classes, engaging in two different disciplines within one class. Providing regular performing arts experiences for your child is an excellent way to encourage his or her creative thinking, confidence, and achievement. And, when your child is regularly involved in performing arts programming, you can be sure the "whole child" is being developed. Recreational students are those who are looking to take between one and three classes per week. We provide a vast array of Recreational classes, for ages 7-18, including Acting, Dance, Vocal Music, and Musical Theatre classes. 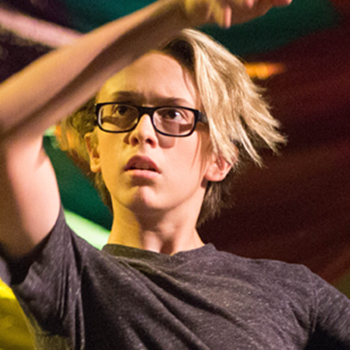 Our intensive students are those who are passionate about performing and looking to hone their skills as young performing artists-- with the desire to pursue the arts in their future. These students should spend a minimum of 4 hours a week in classes to strengthen their performance and technique skills and participate in as many performing opportunities and auditions as possible inside and outside the studio.